I was a bit nervous about doing this! It was my friend Nikki’s 21st Birthday Party, so even more reason not to stuff up. My time management skills are close to non-existant, so it took a lot of careful planning and timing over 3 days for this to eventuate. Anyhow, we got there. And I was so happy with the end result, as was Nikki. I can’t believe I actually produced this! 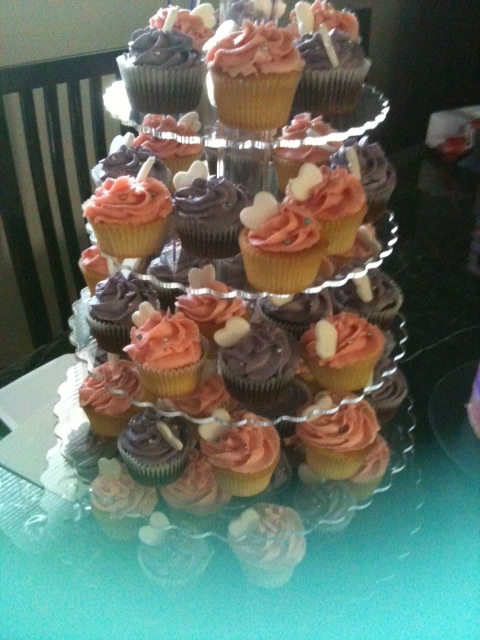 Nikki wanted 70 cupcakes, half chocolate and half vanilla bean with pink and purple icing and white fondant hearts. 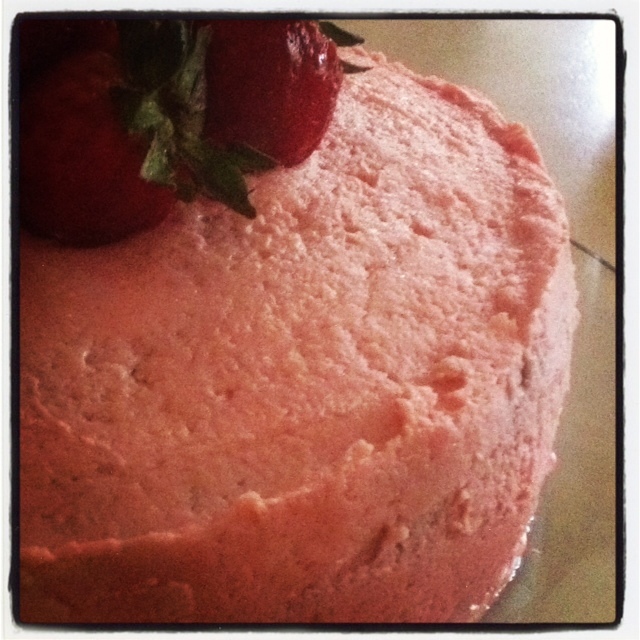 It was also decided that I would make the Musk Layered Cake for the top layer, too. I was excited and up for the challenge! This is the first time I’ve ever properly done a cake for a party, and I really enjoyed it. 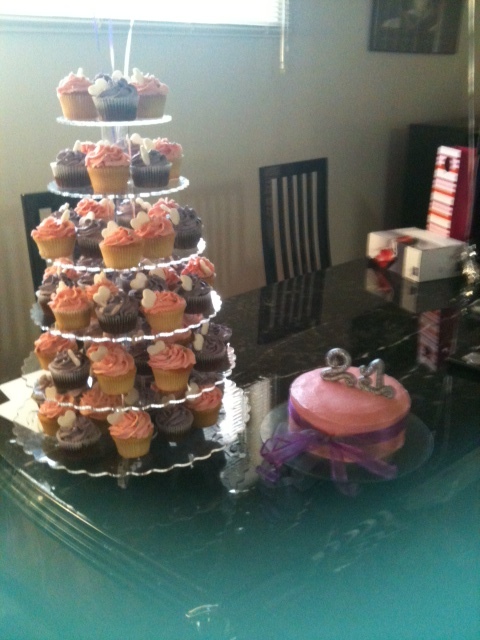 Everything came together nicely and ran smoothly, with minimal disasters (there were still a couple!). 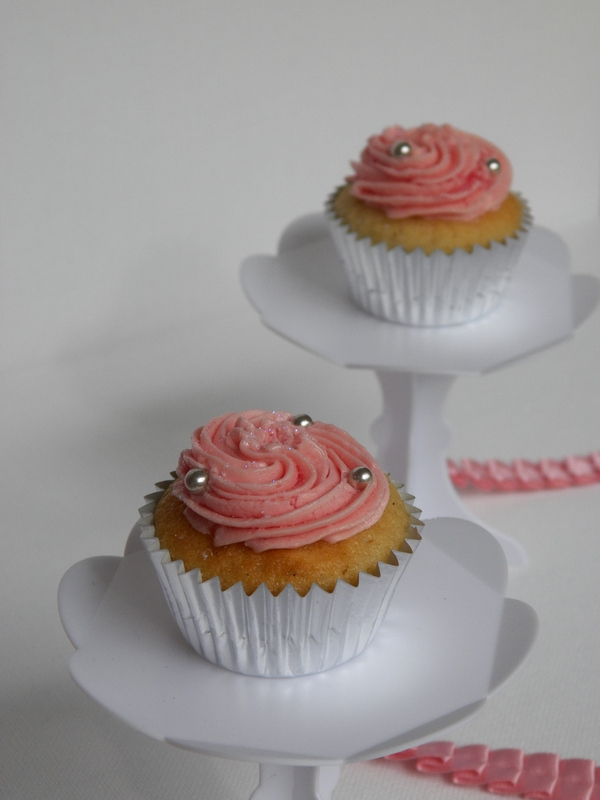 The one thing I really wanted to nail were the cakes themselves. So many times at parties, the cakes, in particular cupcakes, whilst looking amazing, are often horribly dry, tasteless and crumbly to eat. 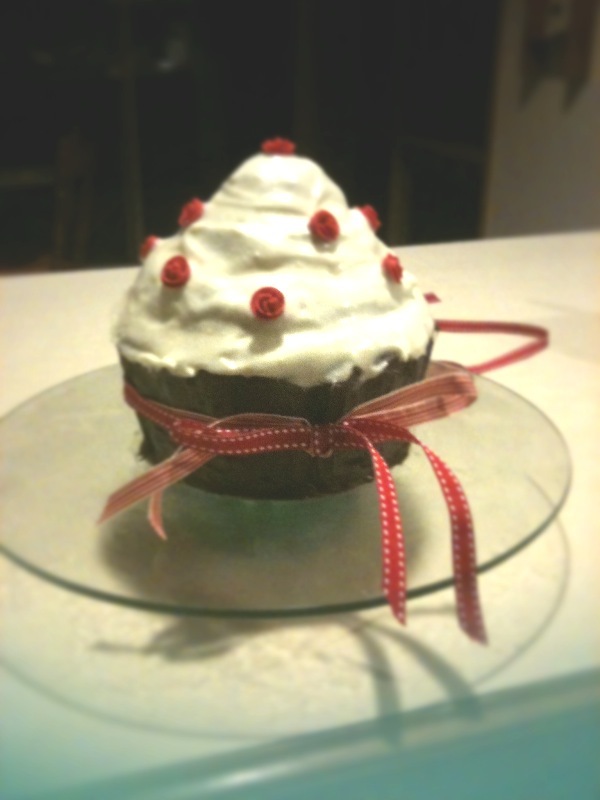 I desperately wanted to achieve a tasty and fluffy cupcake as well as perfectly swirled buttercream icing. 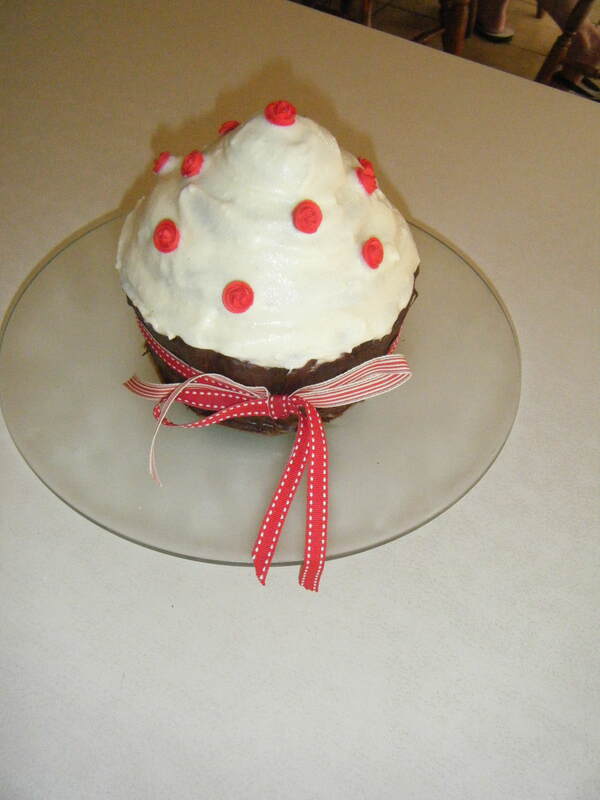 I was lucky I found 2 fantastic recipes that worked beautifully, and the cupcakes were so delish! I used recipes from Taste.com (best website ever!) 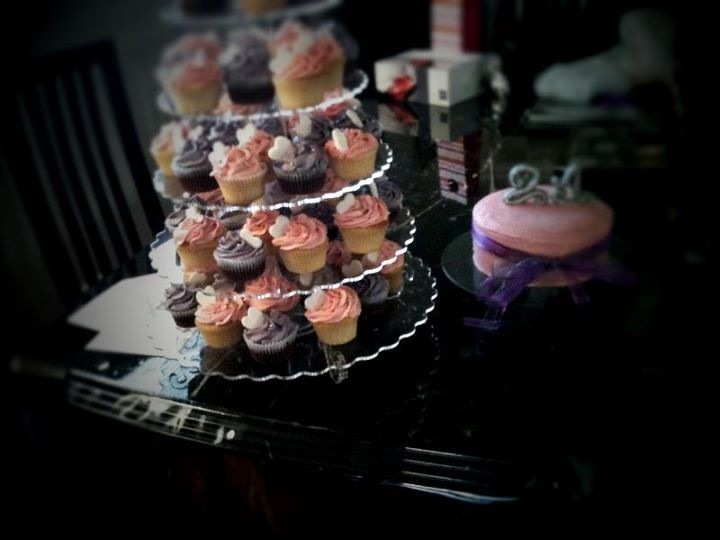 for both the vanilla cupcakes, and the chocolate cupcakes. 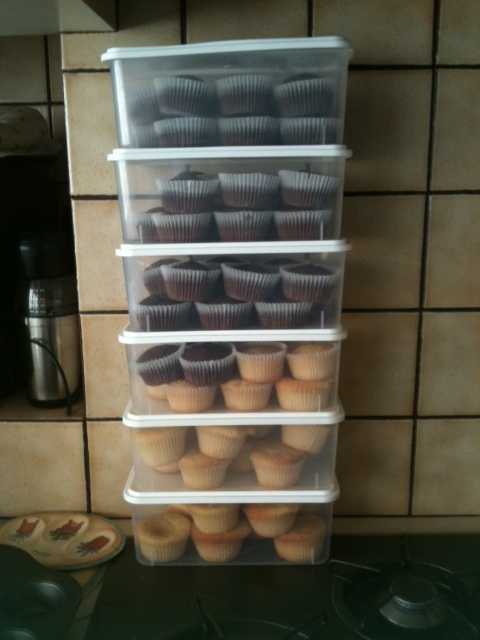 I made another half of the vanilla cupcake recipe, and doubled the chocolate one, and they both made around 38 cupcakes each. 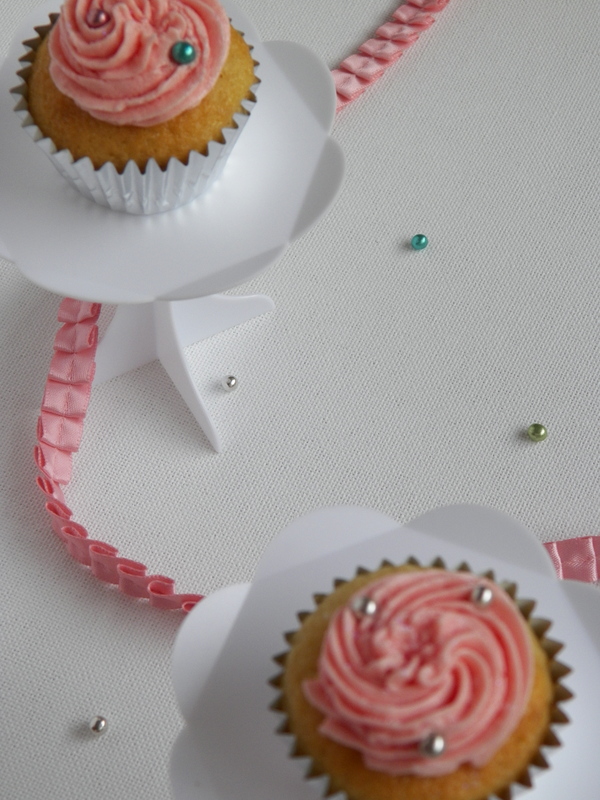 A tip for the vanilla cupcakes – don’t substitute vanilla bean paste for extract or essence, or god forbid imitation essence!! 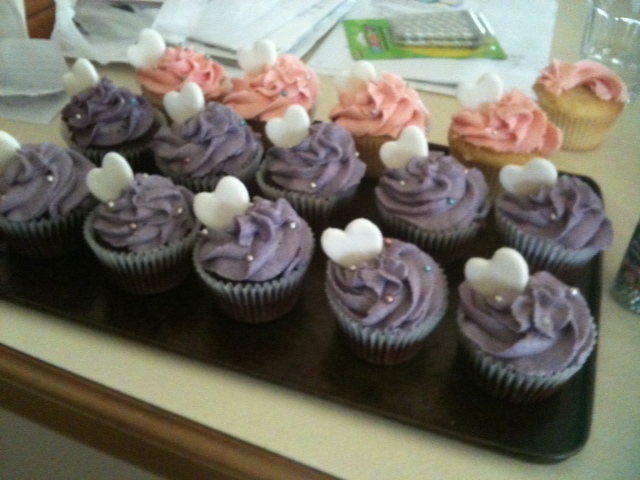 I think the paste really made the cupcakes, plus I love the little flecks of vanilla bean, too. 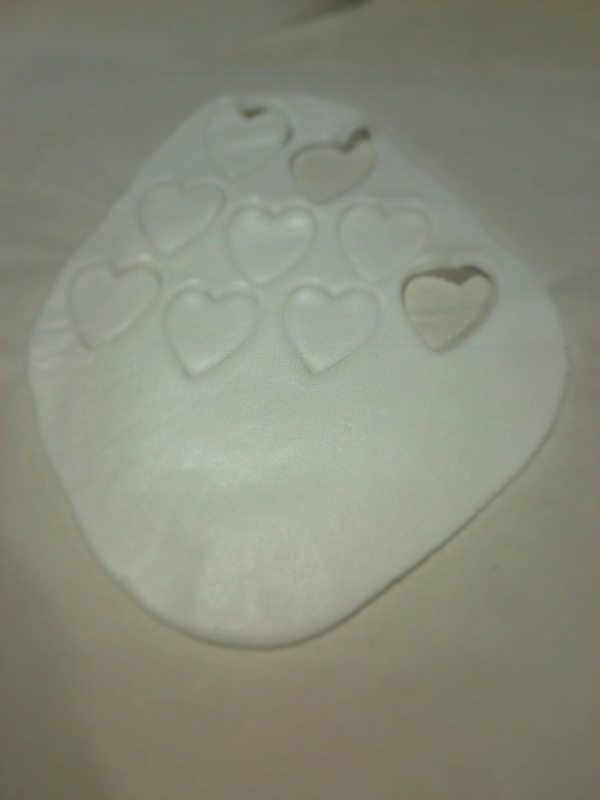 For the fondant hearts, I simply used a small heart cutter from West’s, an amazing cake supplier in Burwood, Victoria. All you have to do is roll the fondant with a rolling pin between two sheets of baking paper until it is about 1cm thick, then cut away. 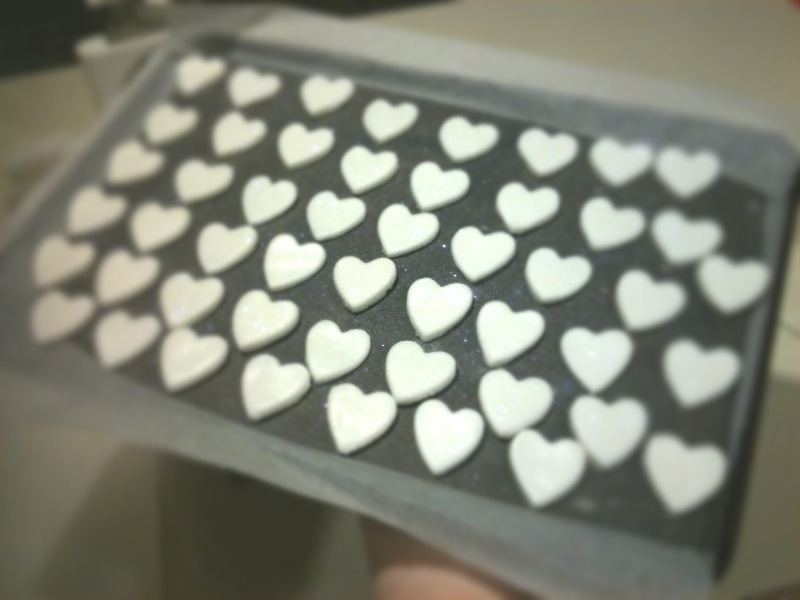 I brushed a tiny amount of edible glitter on each heart, which I also got from West’s. 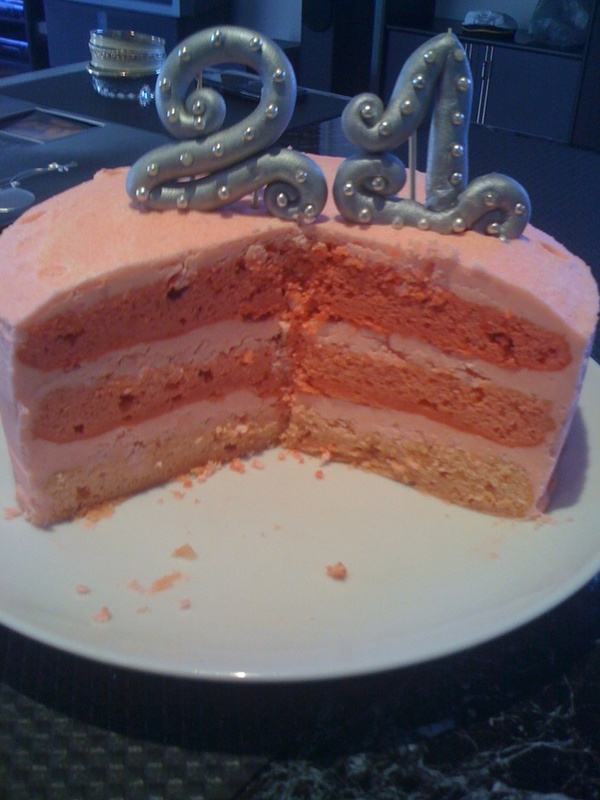 Oh, and my fondant supplier, who also made the ’21’ on top of the Musk Cake, is amazing, check out her awesome cakes here! For the buttercream, I just beat 350g of softened, salted butter until pale and creamy, and slowly added 5 cups of icing sugar mixture. Once all that is combined, then add your colouring/flavouring. 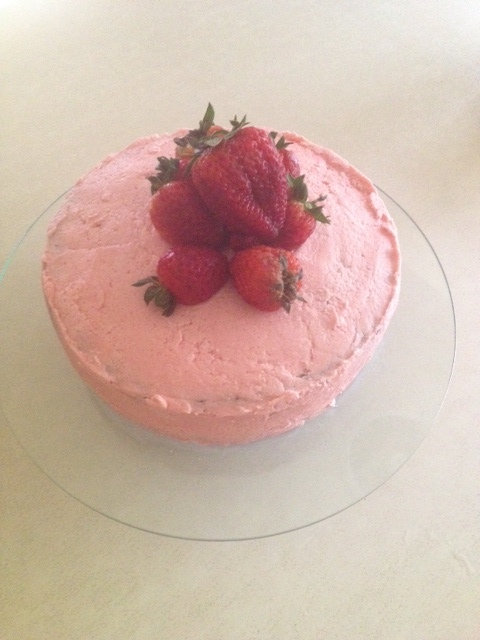 I ended up making 2 batches of pink buttercream for the vanilla cakes, and another half of the recipe for the purple icing for the chocolate cakes. For the musk buttercream, I just added 3 drops of musk essence, and 4 rolls of crushed Musk Lifesavers. If you leave the buttercream in the fridge overnight like I did, make sure you take it out for it to come down to room temp about 2-3 hours before. Although, you can always buzz it in the microwave for 20 seconds. 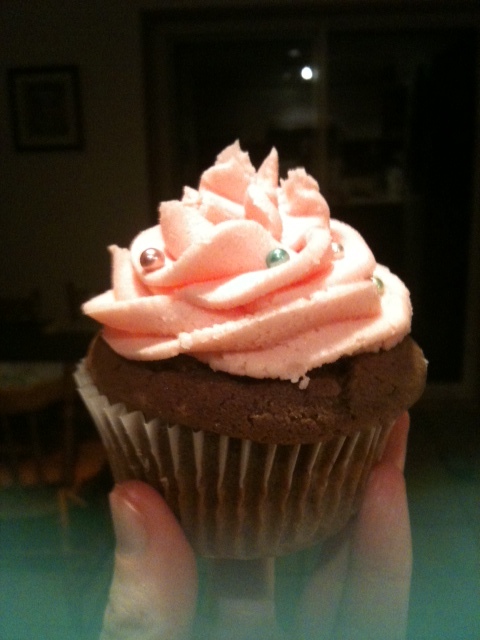 I can’t wait to make these cupcakes again, and if you ever want/need to make them, PLEASE use these Taste recipes. You won’t regret it I promise!! 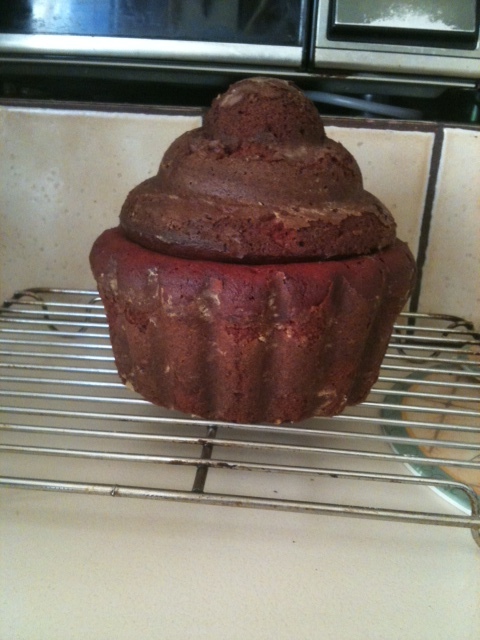 I wasn’t sure at first because I could only seem to find a good red velvet cupcake recipe, and I was a bit freaked out about the measurements as the giant cupcake pan is so big! BUT I finally found a fellow blogger who had done this before – thank god! 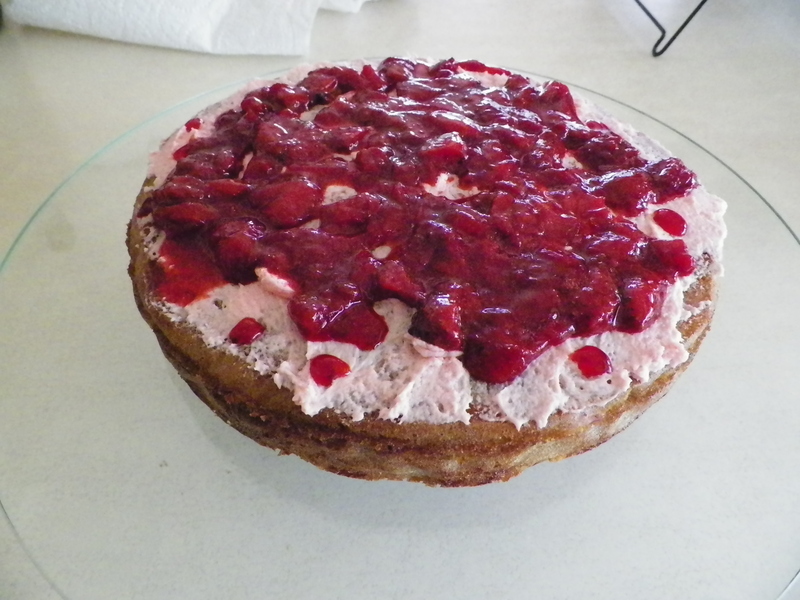 When I poured the mixture into the tins, I was a little worried that it wouldn’t be enough because the bottom of the top cake was a lot smaller than the top of the bottom cake…but it was ok, once it was iced it looked damn scrumptious. Preheat oven to 180c (170c fan forced). Grease and flour tins – don’t use too much flour like I did otherwise you’ll end up with cooked white blotches on the outside of the cake 😦 In the bowl of a stand mixer fitted with a whisk attachment, or in a large mixing bowl, combine butter and sugar until pale and fluffy. Add the eggs, one at a time and whisk well to combine. 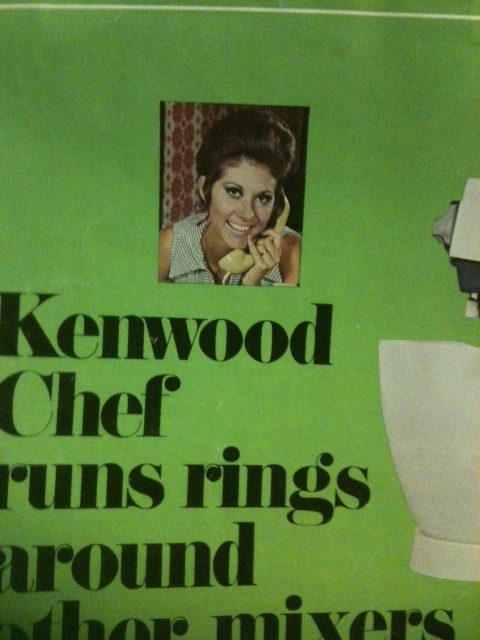 You may need to scrape down the bowl of the stand mixer. In another bowl, combine the cocoa, vanilla and red food colouring (if you are using liquid colouring it may turn to paste, but if using gel it will be powdery – either way it is fine). 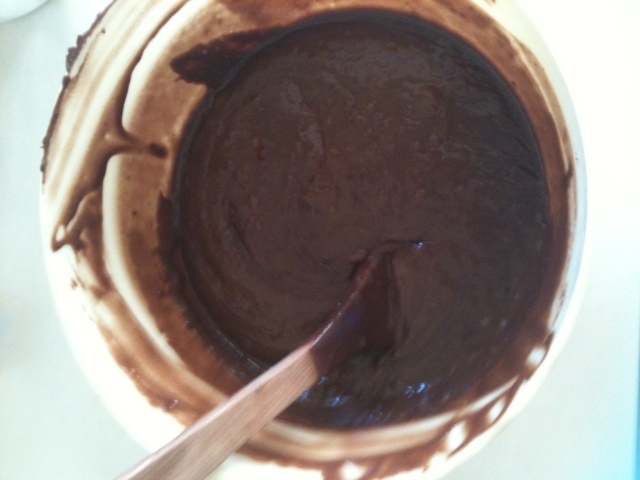 Slowly add the cocoa mixture to the cake batter and mix until well combined and until all of the cake batter is coloured. Turn the mixer to low and slowly add half of the buttermilk. Add half of the flour and salt and until combined. Scrape down the bowl and repeat the process with the buttermilk and flour. Beat until smooth. Add baking soda and white vinegar, and beat for a few more minutes. Pour mixture into prepared tins and bake for 35-40 minutes or until a skewer comes out clean. 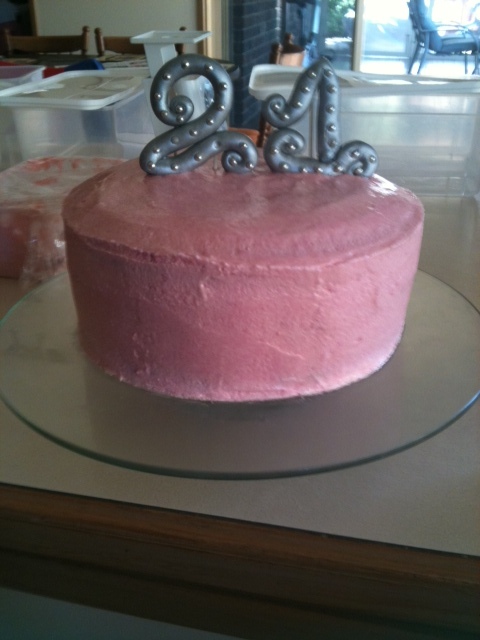 The top of my cake took less time than the bottom, but it didn’t dry out at all. 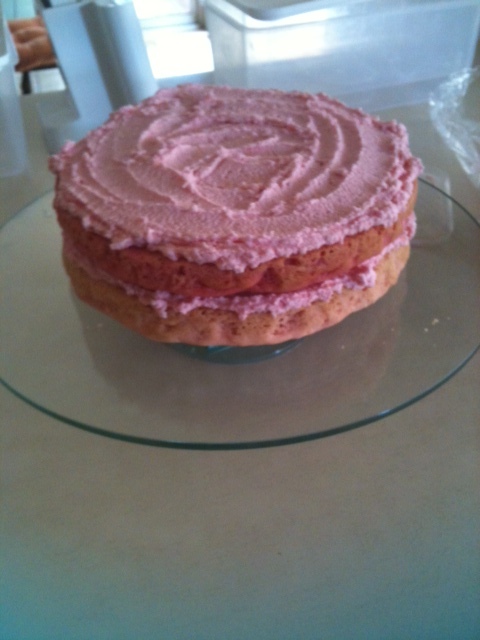 Let cakes cool in the tin for 20 minutes, then turn out onto a wire rack to cool completely. Beat together the cream cheese and butter, until cream. Mix in the vanilla, then gradually add the icing sugar. 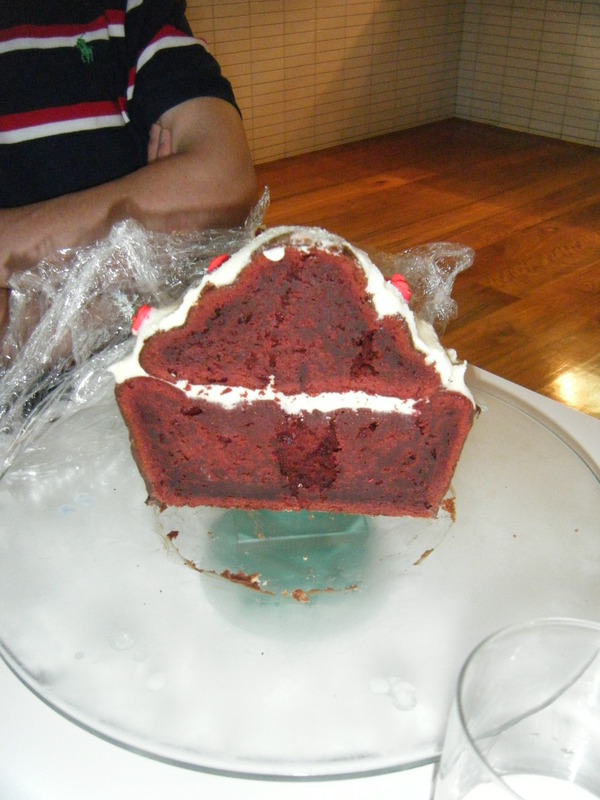 To assemble cake, spread a thick layer of icing on the top of the bottom cake. Sandwich top cake over the bottom one and gently press down. To ice, use a round edged knife. 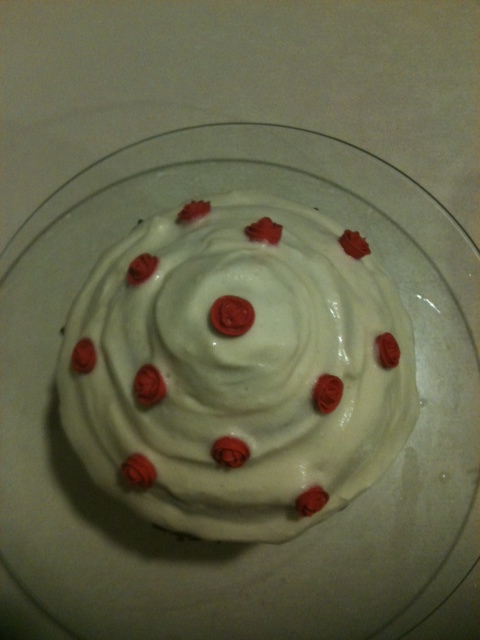 For the outside of the bottom cake, I just melted a bit of chocolate and spread it with a round edged knife. It hid all my white blotches nicely!